The day I (almost) got robbed! So there I was, minding my own business, looking at the needle on my car’s fuel tank indicator thinking I need a top up and I drove into my regular fuel station. The attendant directed me where to park and the fuel door opens from within the car so he tapped on my window to remind me to open it. Thieves at the fuel pump! 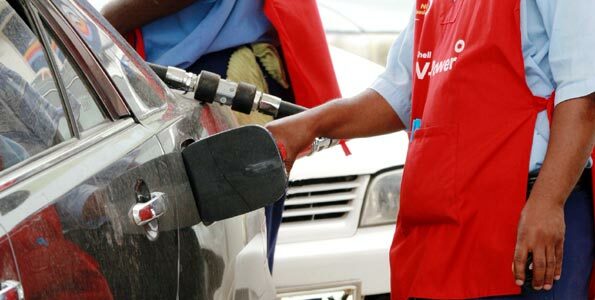 I did as urged, told him to put fuel for Kshs3000/- and am sitting in my car when I looked at the side view mirror and saw that the pump is switched on and dispensing fuel but the pipe is not in my car. IT’S IN A FRIKKING JERRICAN!! There was someone behind my car and was holding on to a jerrican that was being filled with fuel while the attendant thought I was sitting oblivious in my car. I came out of the car and yelled at him (I used PG13 type language) and he got scared because he didn’t expect me to come out of my car. He ended up spilling some petrol on the ground and on my car’s side while in a rush to get the nozzle into the fuel tank opening. I stood there ranting for a good ten minutes yelling for the manager and these attendants were laughing at me. Eventually the manager came out and by this time the attendant who was serving me had finished fuelling the car. Looking at the counter on the fuel pump it showed he had gone way beyond my budget of 3000/-! And then the manager had the AUDACITY to tell me to pay the difference. Did I even ASK for the car to be filled up?! Then the manager asked me for my phone number and I handed him my business card which showed I work for Radio Africa and has all the logos of all the radio stations and the newspaper under the group. I notice a quick change in attitude and apologies are spilling out faster than you can dispense petrol from a pump. Needless to say I didn’t pay for the extra money owed. I paid the 3000/- and left a string of choice words with them and drove off. I am NEVER EVER going to that damned fuel station EVER again even if it means my car will stall on a dark night in an unsafe place. Next Directions In Life – which way are YOU going? you should expose them may be they have been doing that for some time but they have never been cought they should be exposed k.k.